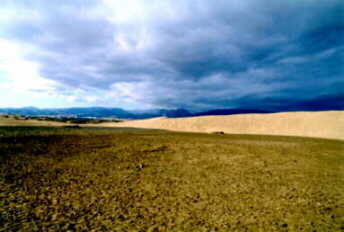 Dunes are not very common in Spain. Yet the Dunas de Maspalomas on Gran Canaria are something special. Here, you might think you are in the Arabian desert. And, when you see a caravan of camels passing by, you're quite sure you're far away from Playa del Inglès ... until you see the people on the camels are not Bedouins, but German, English, Dutch and Scandinavian tourists. 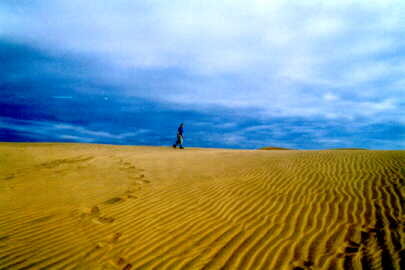 The dunes of Maspalomas are one of the many natural parks of the Canarian Islands. 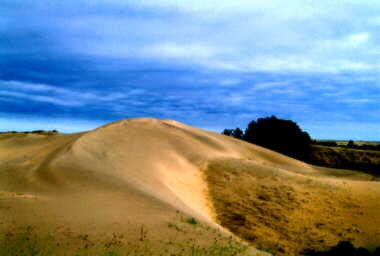 As a result of the constant wind (and some passing tourists), the dunes are shaped and reshaped constantly. 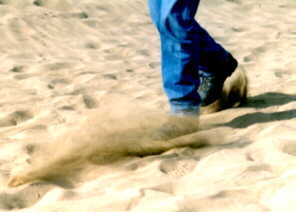 Only where vegetation finds itself a place to grow, the sand comes to a rest. As we already said, you would suppose you are miles and miles away from civilisation. 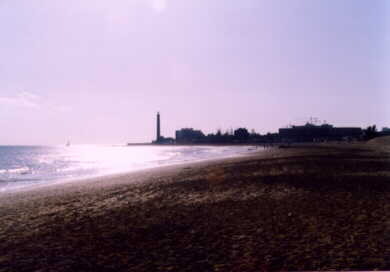 On the contrary, the dunes are situated between the see, Maspalomas (with lighthouse), and Playa del Inglès. Thousands of tourists lie on the beach here every day, only meters from away this beauty.